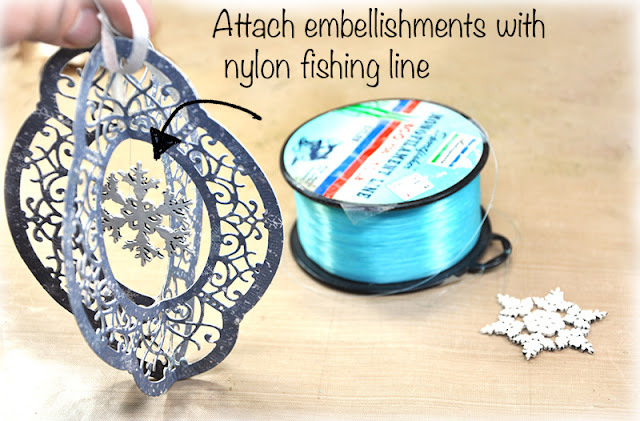 It's the season of Christmas card making, but I had time to squeeze a few ornaments and provide a quick and easy DIY tutorial. This is part two of my ornament feature. You can find part one here. Scroll on down the page for the tutorial. 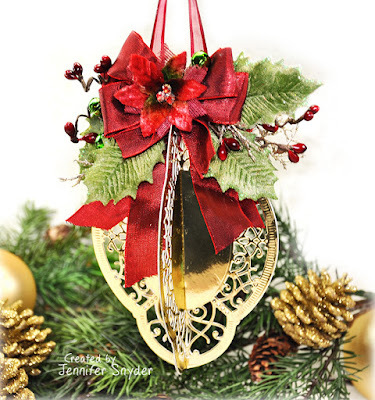 Ornaments make a great gift when you need something small. Why not have those small gifts of appreciation be dazzlers, right? 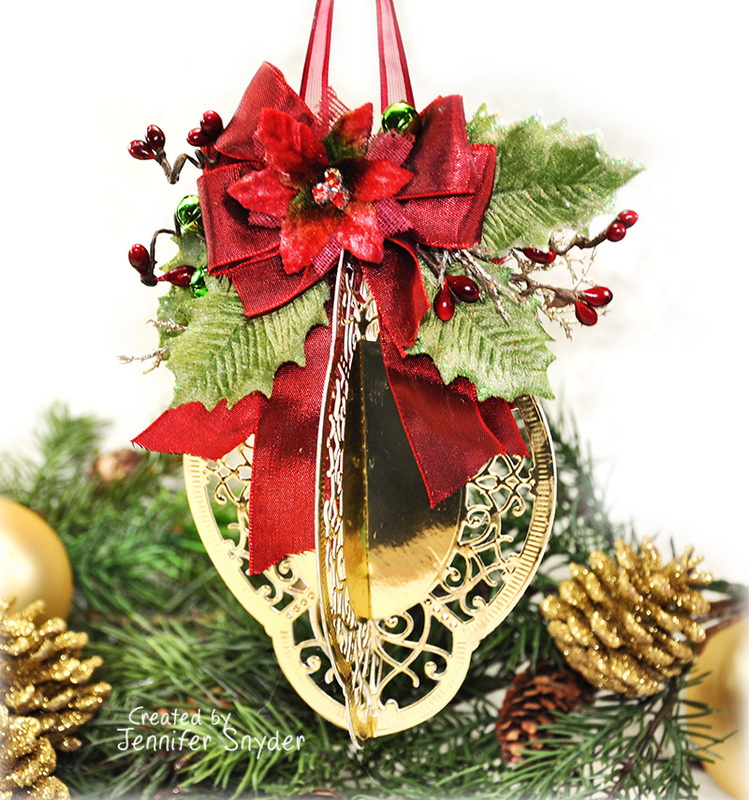 This year my ornaments were made using a cool die from Spellbinders. 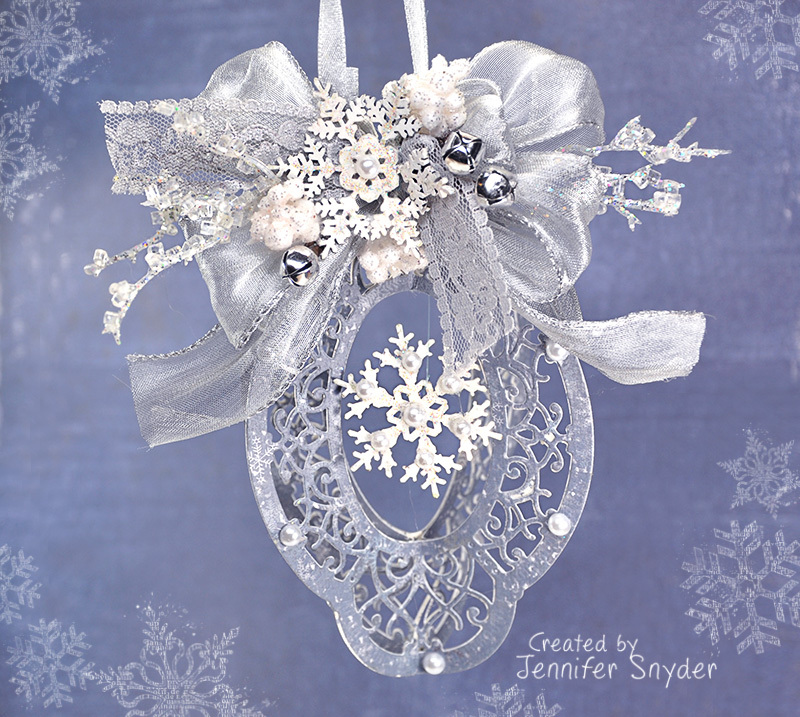 This is the second ornament I have made using this particular die. The first ornament is pictured below and can be found on my blog post here along with step by step DIY instructions. 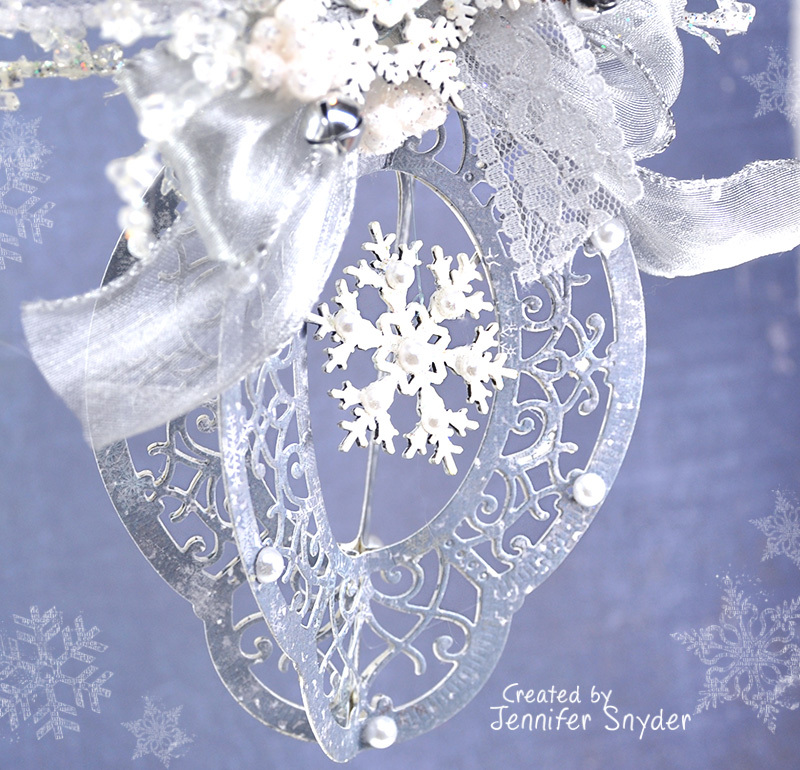 This ornament would not have come together so perfectly without my other essential products: snowflake chipboard by Creative Embellishments and papers from Maja Design. In particular, my snowflakes are from Creative Embellishments - Large Snowflake Set and my papers are from Maja Design - Joyous Winterdays collection. Here is the die I've been raving over. It's Spellbinders Shapeabilities Hannah Elise Layering Frame Chantilly Paper Lace Collection by Becca Feeken S5-329. Step 1. Start with four diecuts using Spellbinders Hannah Elise Layering Frame Chantilly Paper Lace Collection by Becca Feeken. 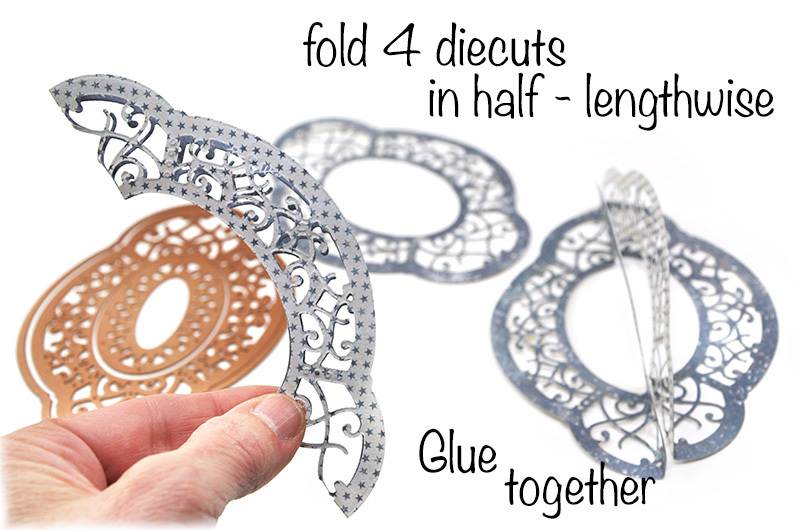 Fold each diecut in half lengthwise. A Bone folder and scoring board will give you a nice crisp fold. Step 2. 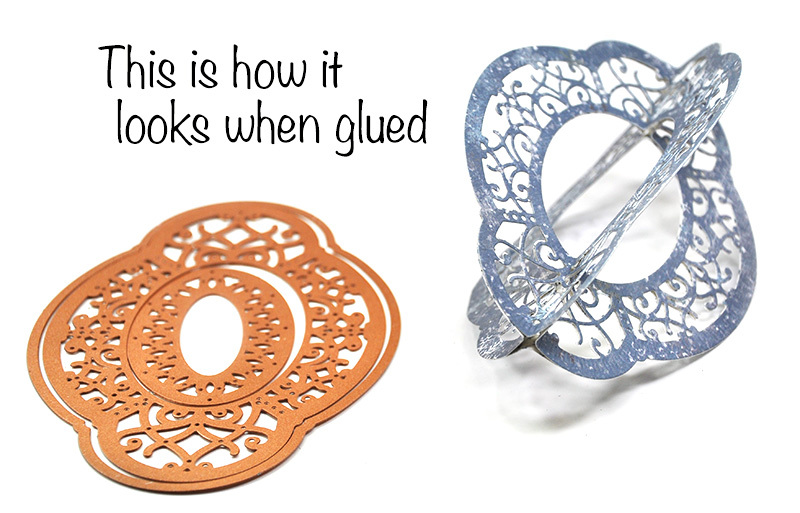 Assemble the ornament by gluing the sections together as in the photo above. Once all four pieces are assembled, your ornament should look like the photo below. Step 3. 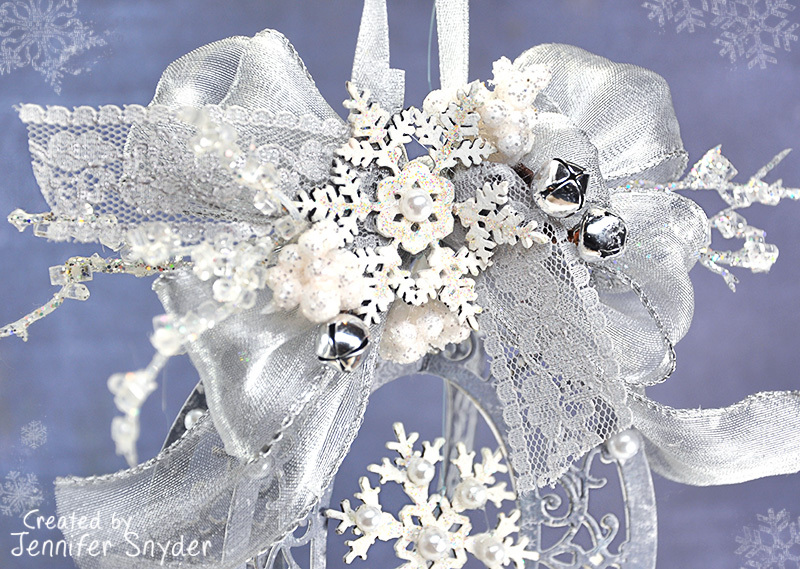 Pick an embellishment that can dangle nicely inside the ornament. 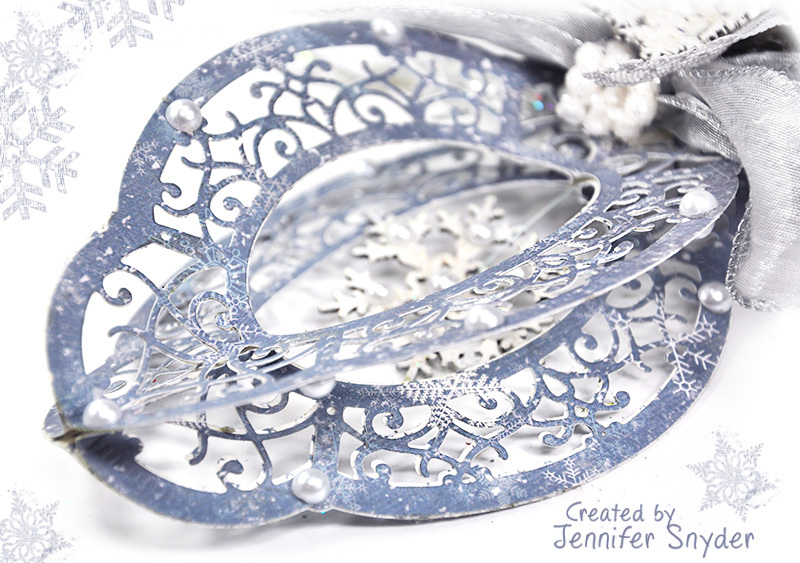 I am using chipboard snowflakes from Creative Embellishments - Large Snowflake Set. I used fishing line (nylon filament) to string the ornament because it's clear and helps place the focus on the ornament/embellishments rather than on a bulky ribbon. Now you're set to decorate. 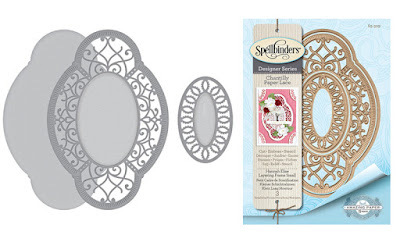 Spellbinders Hannah Elise Layering Frame Chantilly Paper Lace Collection by Becca Feeken. Here's a look at the embellishing. The snowflake chipboard really makes a "wow" statement with this piece. And one last look at the finished piece. Here is a link to shop for Creative Embellishment Chipboard. Here is a link to shop for Maja Design paper collections right here. May your Christmas and holiday season be filled with joy.